A colt by Tavistock (Montjeu) from the draft of Amarina Farm looks set to join John O’Shea’s Randwick stable, after being purchased by syndicator Champion Thoroughbreds for $250,000 at the Magic Millions Gold Coast National Yearling Sale yesterday. In realising that figure, the colt equalled the highest-priced lot at Book One of the sale. 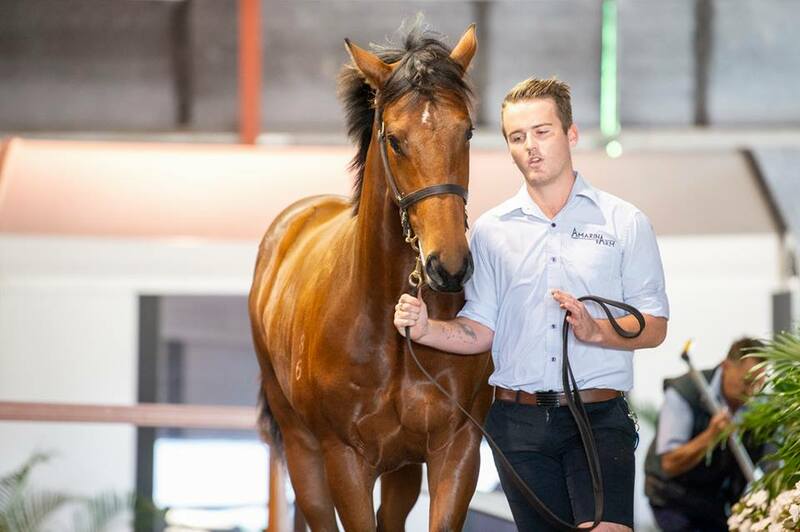 Champion Thoroughbreds’ Jason Abrahams said he and O’Shea had identified the colt as a likely prospect six months ago before an incident led to him being withdrawn from this year’s New Zealand Bloodstock Karaka Yearling Sale. Catalogued as Lot 1900, the colt is the second foal out of the placed mare Lithograph (Echo Of Light), who is a half-sister to the stakes winner Lawspeaker (Singspiel). The colt’s second dam is the Listed winner and Group One-placed mare Forum Floozie (Danasinga), herself a half-sister to Group One producing stallion Starcraft (Soviet Star) and the stakes-placed Pin Up (Pins). Amarina Farm’s Craig Anderson told ANZ Bloodstock News he rated the youngster as one of the standout lots at the National Sale. Amarina Farm also sold a Starspangledbanner (Choisir) colt yesterday for $150,000 to Hong Kong’s Francis Lui. Catalogued as Lot 2004, the colt is the first live foal out of the winning mare Rock Cathedral (Octagonal) who is a half-sister to the Macau stakes winner Happy Gladiator (Viscount). He had been passed in for $90,000 (reserve $120,000) at the Magic Millions Gold Coast Yearling Sale in January from the Coolmore Stud draft before being re offered by Amarina Farm yesterday. In total, Amarina Farm sold three yearlings this week for $448,000 at an average of $149,333 to be the leading vendor by average (with three or more sold). At the end of book one, 230 yearlings had sold at a clearance rate of 71 per cent, up from Tuesday’s 62 per cent. Anderson said buyers across the board were not prepared to compromise on type.